With the Mambo Max Wooden Work-Out Station an even higher amount of exercises is suddenly available. The cleverly spread rings allow you to attach the included pair or tubes with handles and carabiner for various vertical and diagonal exercises. 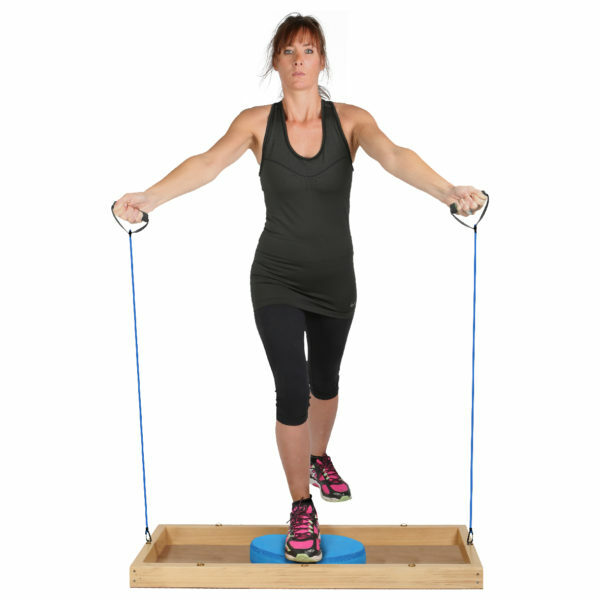 Combine with Balance Pad, Aerobic Step, Stepping Stones… for a huge variety of exercises.